By way of background, regular readers of this irregular column and/or www.theysaidwhat.net have seen multitudinous examples of vendors telling lies that any fifth-grader could see through. Perhaps the best two examples on this site are Staywell and Mercer reporting mathematically impossible savings for British Petroleum and Health Fitness Corporation admitting they lied about saving the lives of cancer victims in Nebraska. Before continuing, I do want to emphasize that this isn’t about “the Blues,” which are all independent of one another. 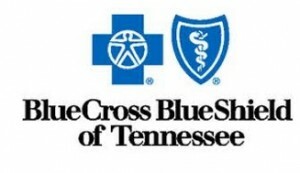 It’s specifically about Blue Cross of Tennessee (BCBSTN). By contrast, other Blues – Massachusetts, Rhode Island, Louisiana, Carefirst and South Carolina come to mind (along with the Blue Care Network subsidiary of Blue Cross of Michigan) – have created exemplary outcomes reports. For them, integrity trumps impossibility. Two have even been validated by the Intel-GE Care Innovations Validation Institute, the gold standard in outcomes measurement. Let’s consider ER and Inpatient separately. About 40-million ER visits a year are specifically caused by injuries, or roughly 126 per 1000 people. This injuries-only figure dwarfs BCBSTN’s all-in ER visit figure of 73.6 per 1000 allegedly achieved by this program. In other words, walking an extra 19 minutes a day not only wiped out every single non-injury-related ER visits, but also about 40% of all injury-related ER visits. Next, let’s consider the inpatient stays. Their 30 stays per 1000 includes birth events, as compared to the more typical figure, which BCBSTN also experienced in the control group, of about 60 per 1000. All birth events combined are about 15 to 20 per 1000. Taking those birth events out of the BCBSTN tally yields 10-15 admissions per 1000, a Nobel Prizewinning figure. And all achieved by walking an extra 19 minutes a day. Another way of looking at it: here are the top 21 admissions categories for Tennesseans insured through their employer. With the exceptions of #9 and #10 (morbid obesity and heart attacks), probably not one single admission in any of these categories could have been prevented by walking an extra 19 minutes a day. Even in those two categories, optimistically only a handful of admissions would be prevented by short walks. And how does “their claims were essentially flat” in the third bullet point reconcile with the massive declines in the second bullet point? Which brings us back to what Blue Cross of Tennessee needs to do next. It seems they have, in the immortal words of the great philosopher Ricky Ricardo, some ‘splainin’ to do. At the very least, perhaps an apology to the Blue Cross Association and to their fellow Blues. Al Lewis is the founder of Quizzify.com and the author of Surviving Workplace Wellness. The best diagnostic test in the world remains the sniff test. Based on these results one could project that moderate walking would enable such savings that the national debt can be repaid in ten years. Not that anyone in the wellness industry would ever notice (they aren’t much for noticing facts), I made a mistake. The impossibly low ER visit rate and IP admit rate would not themselves add up to $1648, as I said in the article. There would also be room in that budget for a physician visit and a couple of prescriptions for non-specialty drugs. Al, nice piece. What’s the source of the ICD-9 chart? Thanks! Hey stranger, good to hear from you and thanks for the nice comments. You can go to http://hcupnet.ahrq.gov/HCUPnet.jsp and then to states, and then one of your options is to look at the ICD9s in order of frequency.